My smoothie today ended up being quite far off from the original recipe. I used kale and bok choy instead of lettuce and ended up adding some frozen pineapple and the juice from one lime wedge. The smoothie just tasted bad before that. After spicing it up a bit I actually quite liked it. But I don’t think I’ll be using a lot of nectarines in my future smoothies.. 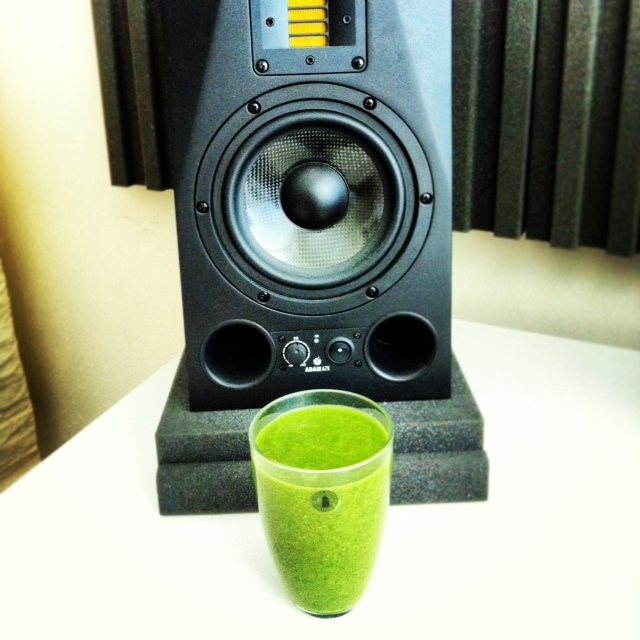 Tags: 30daygreensmoothiechallenge, green smoothie, recipe, smoothie, youngandraw. Bookmark the permalink.